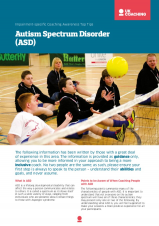 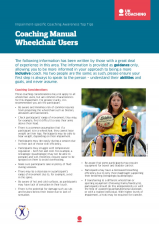 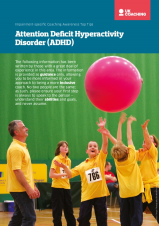 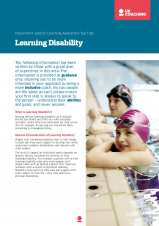 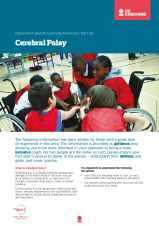 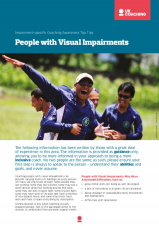 These factsheets serve to upskill coaches and sports developers and raise awareness around specific impairment groups. 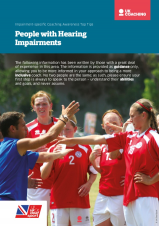 Participants should always be treated as individuals and not defined by their impairment. 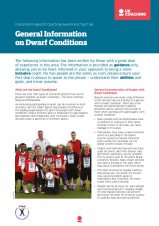 This information provides a highly generic level of information and should be used as a reference point only. 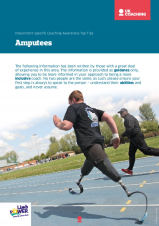 When coaching a disabled person speak to them about their abilities and aspirations in your sport. 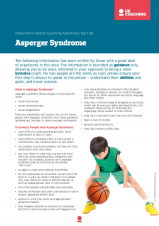 Never assume.